Our newest addition to the VBU family, is Siobhán Griffin-Lloyd, she is the author of Vegan Monologue. Here she is in her own words, “I’m 29, I work in the mental health field in FL. Married to a Buddhist. Vegetarian since birth and vegan since 2004.” Please welcome Siobhán! 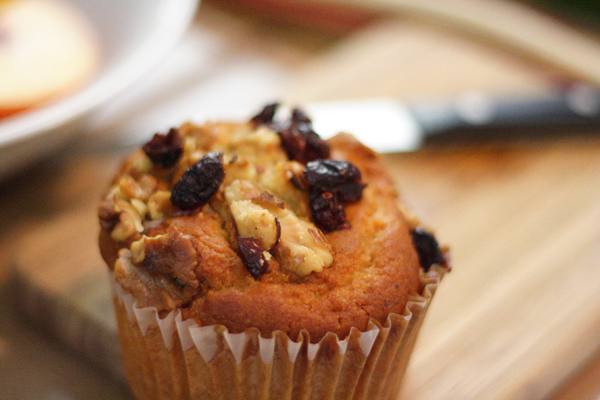 These muffins cost me $5.00 for the nuts and brown sugar. Scraped everything else together. Made 12. Vegan muffins are easy to spot in the store because they are flat as a pancake on top. But they don’t have to be. A great baking trick I use solves this problem: heat oven 50 degrees hotter than what the recipe calls for. Put muffins in oven for 10 minutes at that higher setting until they form high “domes”. Then reduce heat to the proper setting and bake according to directions. This recipe uses a tomato juice to increase acidity for baking strength and to add color, but these turn out fine without it. 3) In a separate bowl, whisk together the vanilla, vegetable oil, and tomato juice (or soymilk). 4) Stir the wet ingredients into the dry ingredients; don’t over-mix, stir just until everything is moistened. 5) Spoon the batter into the prepared muffin cups, filling each nearly full. 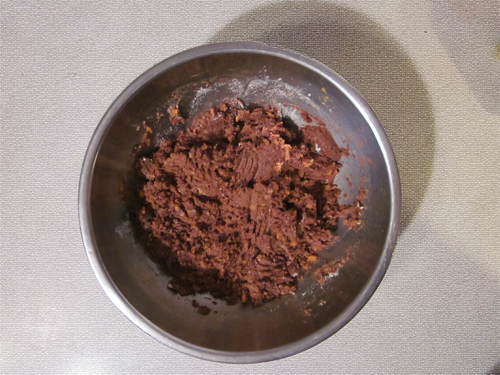 A level (to slightly heaped) muffin scoop of batter for each muffin works well here. 6) Sprinkle the tops with the reserved cranberries and nuts. 7) Bake muffins for 18 to 20 minutes, until they’re lightly browned around the edges. Love having new bloggers, on top of that, love having bloggers from around the world share their experiences and recipes. This post is from Phil, bloggers of Impressive Foods, he has a wonderful recipe here for Praline Ice Cream that is sugar free. Fantastic for the upcoming summer days and heck, who doesn’t love a good vegan ice cream? Here’s a bit about Phil in his own words, “I love cooking a variety of styles, sometimes just 5 minutes throwing together ideas, sometimes a longer, more calculated affair. I’m learning as I go along, and my blog will be a record of my successes. I’m a great believer in modifying recipes to suits one’s own tastes, or to use up what’s in the fridge, so I won’t be attempting to recreate “authentic” dishes here. All traditions were new ideas at one time.” Please welcome Phil! One of my most successful desserts to date, made by hand, yet without refined sugar and without dairy. It’s still pretty naughty, and certainly tastes it. Allow a full day to make the ice cream as it needs stirring at hourly intervals, and allow up to an hour to make the praline at the end of the day. Note the praline recipe is from Chocolate Now! website. Pour into a tight closing plastic box, and put in the freezer. At hourly intervals, remove from the freezer and stir up. Do this for about 8 hours, or as long as you can. An hour before the final stir of the day, make the praline. Crush the nuts in a pestle and mortar or food processor. Roast the pieces on a baking sheet for 6-10 minutes at 180°C (or until they are golden brown). Stir occasionally. While the nuts are roasting, lightly oil another baking sheet. Have a pan or bowl of cool water standing near the stove to dip the base of the pan in once the sugar syrup has been caramelised. In a heavy based saucepan, heat the sugar and water over a low heat until the sugar dissolves, shaking the pan occasionally to dissolve the crystals. DO NOT stir the mixture at any point until you add the nuts. Increase the heat and bring to the boil, until it is a golden brown colour. Place the base of the pan immediately in the cool water to stop the caramel continuing to cook, then quickly mix in the nuts before it starts to cool, and pour onto the oiled baking sheet and leave to cool. Remember if using fruit sugar instead of refined sugar, it will not set solid. Try adjusting the amount of sugar next time. When it is completely cool, chop into small pieces, and process in a food processor. Melt the chocolate and stir most of the praline in to make a wet paste. Get a new plastic box (an old ice cream tub is great), and pour alternate layers of ice cream and praline/chocolate mix into it. Keep the remaining praline mix in an air-tight container. Return this mix to the freezer to freeze overnight. Enjoy the next evening! Use the remaining praline mix as sauce. 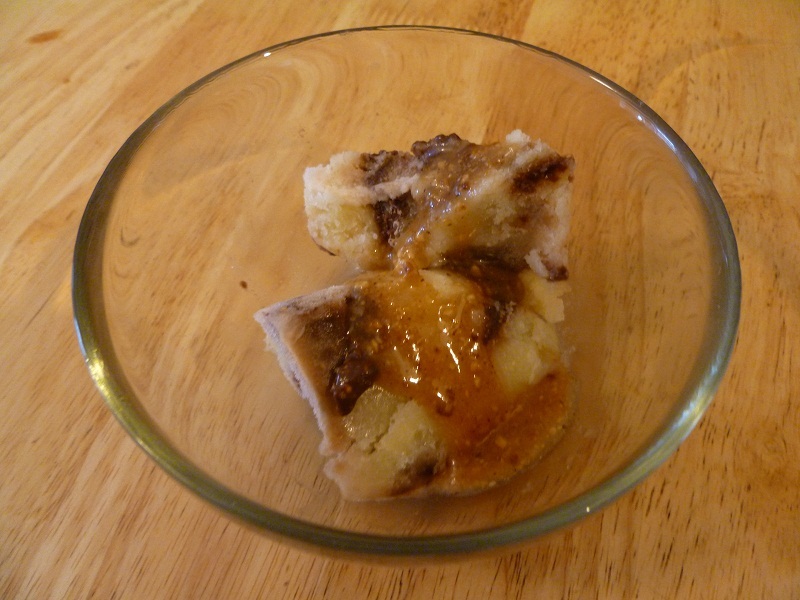 You should check out this article of advice when making praline too. Peter Filak, writes the blog More Apples a Day: A Journey to 150, he is 23, and has a strong belief through his plant based diet he will live to 150. He is extremely enthused with health and how many factors affect it. Food, exercise, stress, and spirituality are the four areas that he believes hold the answers to life. Through writing More Apples a Day, he expresses his achievements, learning experiences, step-by-step methods, and personal experiments performed in order to fulfill this lifestyle. Please welcome Peter! I do not have cravings for food anymore but I do enjoy the creative process of bringing my ideas into reality. A brownie has a certain feeling, like a smoothness but with a little give and a jolt of flavor when you bite into it. So how can I recreate that feeling and flavor? I want this example to guide you into creating your own foods and when you make this item you truly will understand how it can be done. So I thought, smooth with a little give, and I need to have that flavor. Sweet potatoes have an excellent natural sweet taste and they are smooth, hence main ingredient. Now for that textured give and the behind-the-scenes ingredient. Raisins work perfectly. By crushing them you help to retain that texture and prevent them from filling back up with juices. 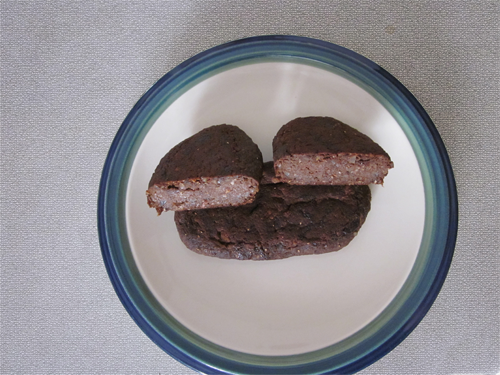 With carob and all the other ingredients comes a very healthy brownie, that I consider a meal. Enjoy! 2. 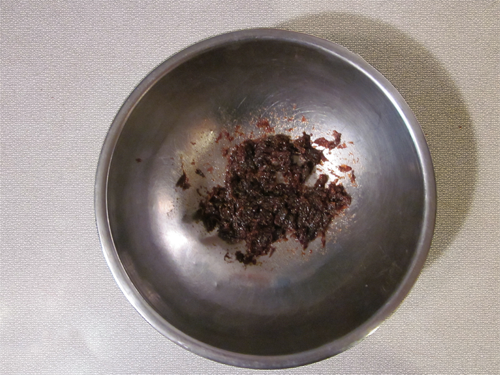 Place raisins in mixing bowl and crush with spoon until they have all leaked their insides. 3. 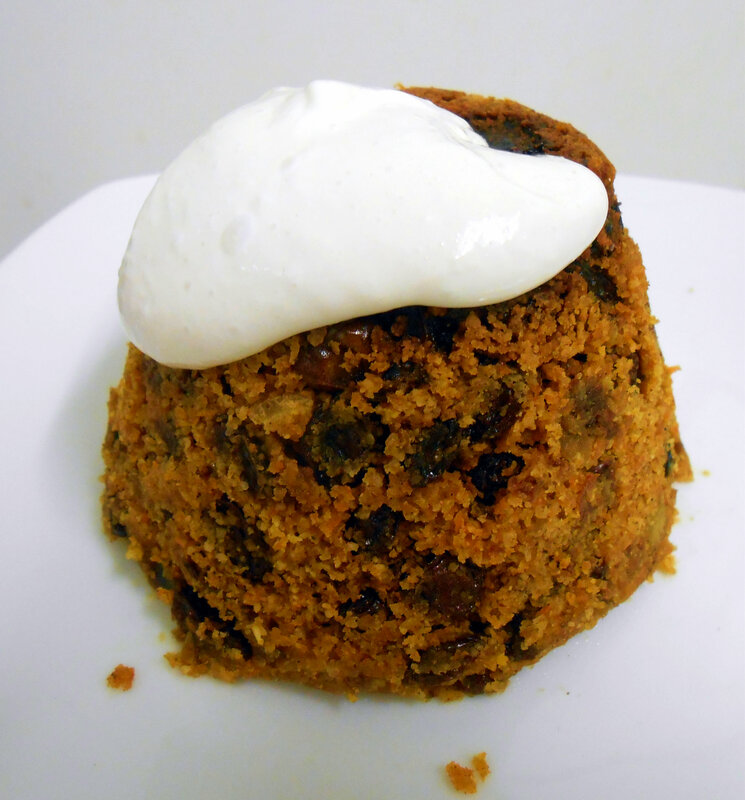 Place peeled sweet potato in with crushed raisins and mix. 4. Add spices, crushed nuts, chia seeds, quinoa flour, and mix. 5. Finally add a natural maple syrup and mix one last time. 6. Have oven on and ready to bake at 350 degrees Fahrenheit. 7. Ball the mixture up in your hands and cut it in half with a knife. 8. Shape both into elongated brownies and place on pan. 9. Place in oven and flip at 25 minutes and remove in another 15 minutes (total 40 min). 10. Let them cool and then enjoy. 11. If saving for later, make sure to refrigerate them.